In this paper, using sliding mesh model, the numerical simulation of small vertical axis wind turbine aerodynamic performance was studied with FLUENT software. Got change rule of four same thickness and different camber‘s NACA series asymmetrical airfoil moment coefficient of the wind turbine and wind power machine with the tip speed ratio. Wind turbine benchmark blade around the flow field was studied. Research shows that within a certain range, small vertical axis wind turbine aerodynamic performance be promoted if the airfoil relative thickness increases. In the case of large attack angle, the wind turbine blade is easy to be separated. 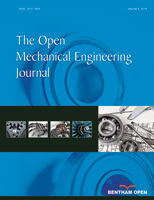 It provides a theoretical reference for optimal design of a small vertical axis wind turbine.